Cumberland Farms and Costco are Americans’ favorite fueling stations, according to a new study by Market Force Information® (Market Force). 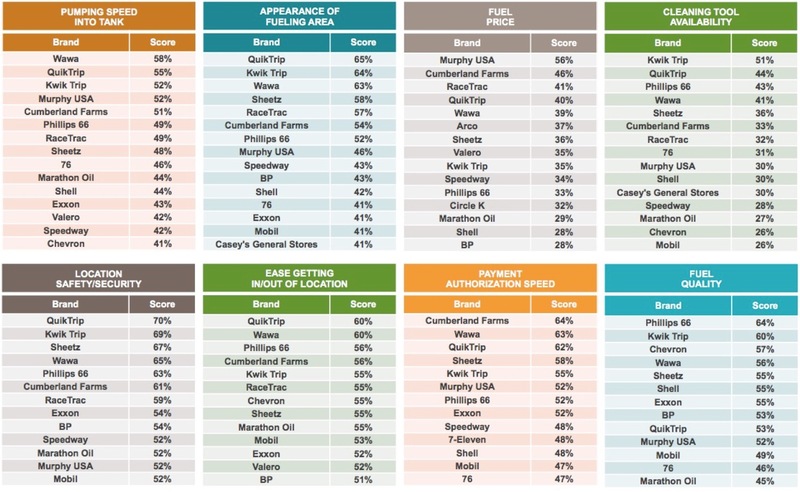 More than 11,500 consumers participated in the annual study, which ranks gas stations in two categories – traditional gas stations and convenience stores, grocery stores and big-box retailers with fuel pumps. 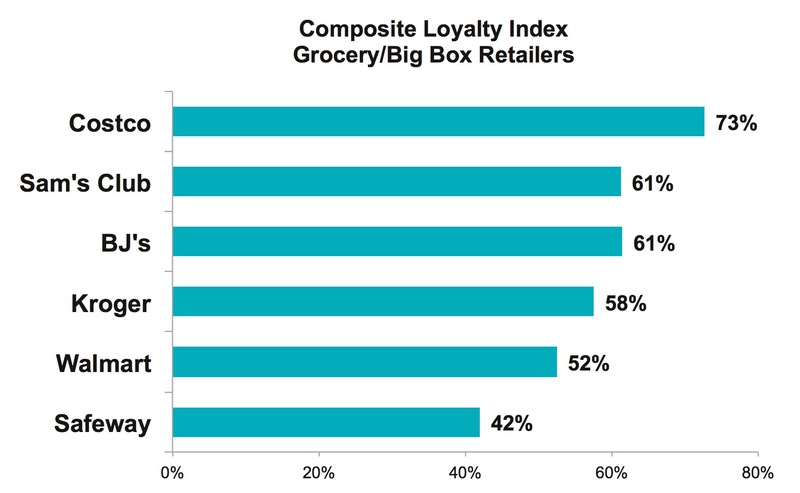 The study also reveals trends in food purchases, customer loyalty and technology. It should be no surprise that fuel price continues to be the most important factor for drivers deciding where to fill their tanks, although good lighting is also a strong consideration, as are payment options, fuel quality and the ease of getting in and out of a location. The availability of good coffee, fresh food and services such as a car wash rank toward the bottom of the importance list. [See Graph 1]. Cumberland Farms moved up one spot this year to rank No. 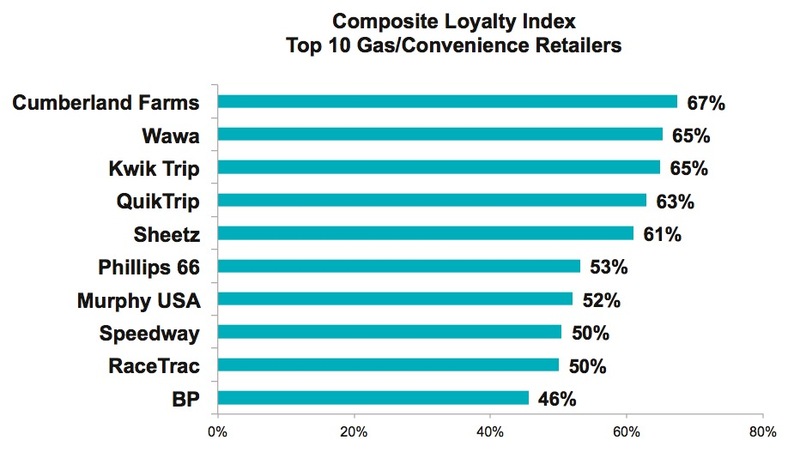 1 out of the gas station and convenience store brands studied. It edged out Wawa and Kwik Trip, which tied for second with 65% each. Last year’s leader QuikTrip fell to third place, while Sheetz ranked fourth and Phillips 66 ranked fifth. [See Graph 2]. Out of the top 10, QuikTrip, Sheetz and Speedway all lost significant ground, each dropping 8% over last year. 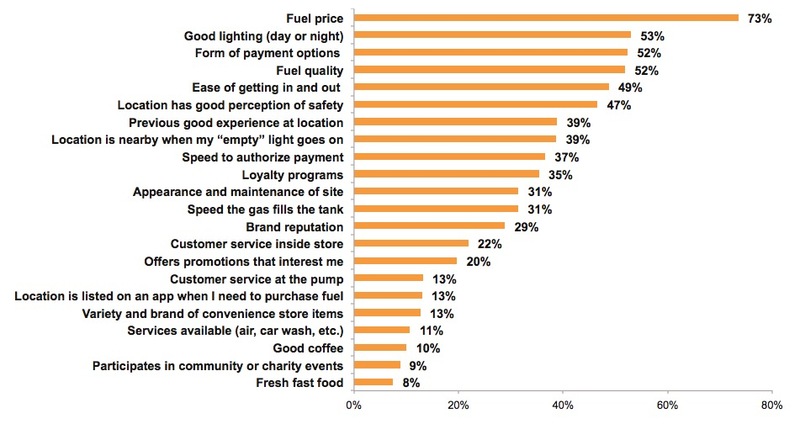 Market Force also evaluated how well fuel retailers deliver on a spectrum of customer experience attributes. Murphy led in fuel price for the third straight year, followed by Cumberland Farms and RaceTrac. Phillips 66 ranked highest for fuel quality. QuikTrip was tops in many of the fueling station and in-store categories, such as location safety, appearance and speed of service, and KwikTrip was found to have the friendliest cashiers and best merchandise selection. On the flip side, Arco scored low on all measures except fuel price. [See Graphs 3 & 4]. Convenience stores continue to offer more healthy, fresh and made-to-order items in an attempt to sell customers lunch, not just gas. In fact, of the 21% who grabbed a fresh-food item during their last visit, 35% bought a sandwich, 20% bought a hot dog and 19% opted for pizza. 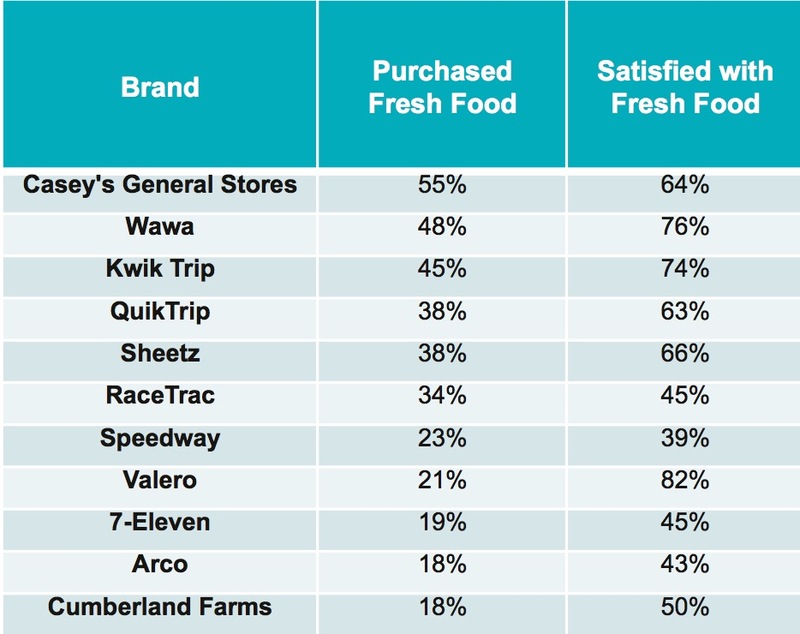 Casey’s General Store was the most popular for fresh food purchases, although Wawa had the highest fresh food satisfaction scores. [See Graph 5]. This comes as little surprise, given that Wawa ranked No. 1 in the sandwich category of Market Force’s recent quick-service restaurant study. Market Force Information® is a customer experience management company that provides location-level measurement solutions that help businesses protect their brand reputation, delight customers and make more money. Solutions include customer experience surveys, employee engagement surveys, mystery shopping, contact center services and social media review tracking, which are integrated into one technology and analytics platform, KnowledgeForce®. Founded in 2005, Market Force has a growing global presence, with offices in the United States, Canada, United Kingdom, France and Spain. It serves more than 200 clients that operate multi-location businesses, including restaurants, major retailers, grocery and drug stores, petro/convenience stores, banking & financial institutions and entertainment brands. The company has been recognized as one of the top 50 market research organizations in the AMA Gold Report. For more information about Market Force, please visit us online at http://www.marketforce.com.